With country living, large homes on acreage, and plenty of close amenities, Cedar Ridge Farms is a wonderful community for you and your family to live and grow. This far northwestern Oklahoma City community is lined with trees to provide you the peace and quiet you’ve always wanted in a home, but all amenities are within a quick 15-20 minute drive away. Homes in Cedar Ridge Farms on average sit on 1-2 acres and allow plenty of room for kids to play or room to build any additions you may think of. 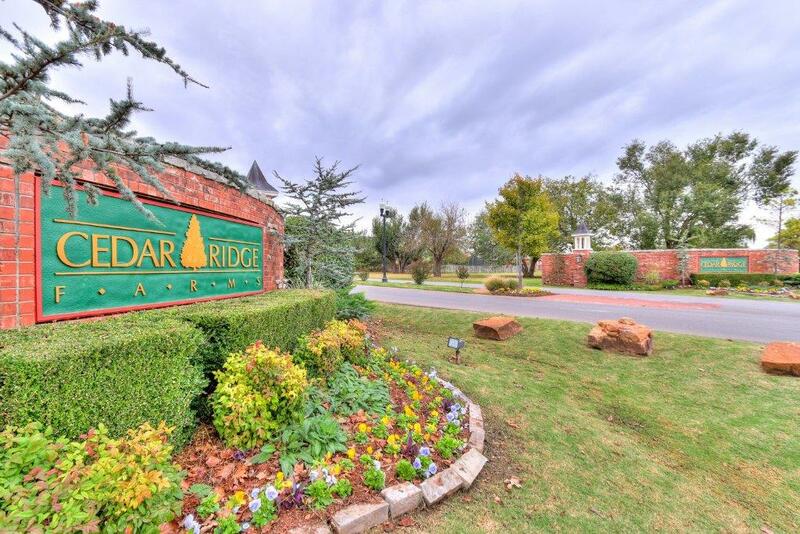 Take a look at the homes available in Cedar Ridge Farms. Cedar Ridge Farms is a located in northwest Oklahoma City, between Macarthur Blvd and 220th Street/Coffee Creek Rd. There are several roads that provide access to the community and the closest highway is Kilpatrick Turnpike. This turnpike provides easy access around all of Oklahoma. The small community features several lakes and streams surrounding it as well as plenty of trees and scenery for everyone to enjoy. Cedar Ridge Farms is maintained by a homeowners association that holds annual meetings in March, but also meetings throughout the year when needs come up. The association will notify residents by mail or on their website in advance of meetings for location and time. The homeowners association maintains the entranceway, landscaping, and anything else that needs to be treated within Cedar Ridge Farms. There are annual dues of $400 that are due by the end of March. These can be paid at the annual meeting or by mail. Homes in Cedar Ridge Farms sit on 1-2 acre lots. All homes are single family only. They must be at least 2,600 square feet and no more than 2 stories in height. All homes feature an attached garage that must fit at least 2 cars. Median home prices are $320,000, but can vary based on home amenities. Most homes average 3 bedrooms and 3 bathrooms. 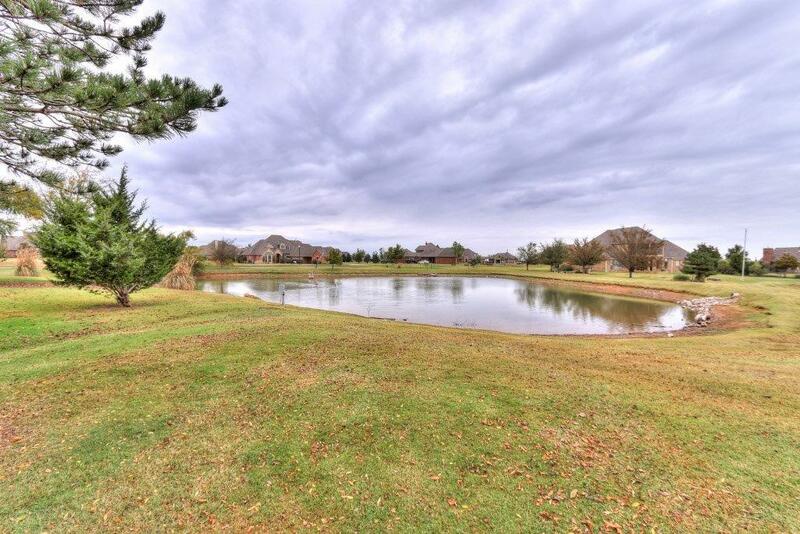 Several lakes lay within the neighborhood, but it’s not advised to swim in them, instead Cedar Ridge Farms allows homes to have above ground pools. For kids, treehouses and playgrounds are also allowed to be built on property. These do not need to be approved by the architectural committee. Deer Creek Water Corporation provides water for the community, while OGE provides electric. Oklahoma Natural Gas provides gas service. AT&T internet as well as Airosurf is available for internet. Cedar Ridge Farms sits within the Deer Creek School System. For elementary school, children can attend Rose Union Elementary, less than ½ mile away. For middle school and high school, children can attend Deer Creek Middle and High School. Both schools are within 1 mile of the neighborhood. There are 2 colleges located nearby in Edmond. They are the University of Central Oklahoma and Oklahoma Christian University. Cedar Ridge Farms is within 15 minutes of medical care. The primary medical center is Mercy Hospital. Mercy Hospital provides an emergency room, urgent care, and numerous doctors. Within the Mercy Hospital property also lies dentists and eye care professionals. There is nothing missing from this health complex! 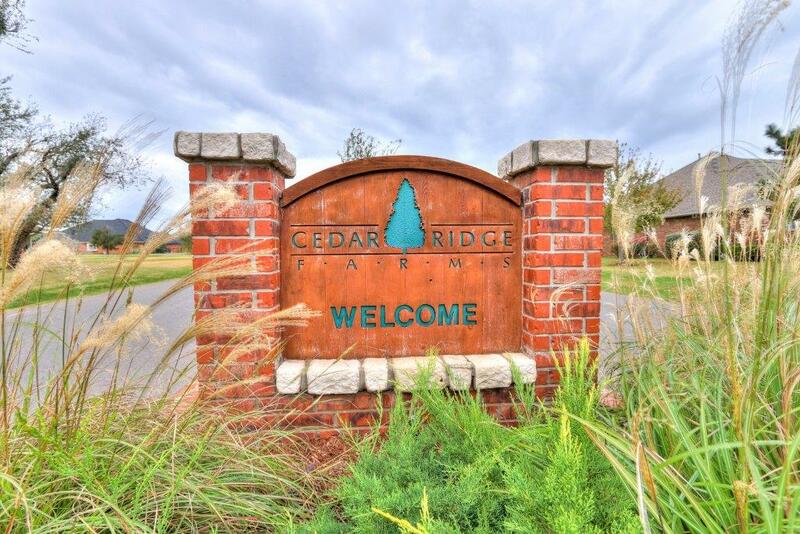 Plenty of amenities lie within 15-20 minutes of Cedar Ridge Farms. These include golf, shopping, dining, and more. The Gallardia Country Club and Quail Creek Golf and Country Club offer golf courses to the south. For prime shopping and multiple dining options, Quail Springs Plaza is to the southeast. Martin Park Nature Center provides fun with walking trails and lots of animals to watch.